Norwegian aluminium producer Norsk Hydro A.S.A. announced yesterday a deal between its wholly-owned subsidiary Hydro Energi AS and Macquarie Group Limited’s Green Investment Group for 29 years of wind power. The deal is likely the longest corporate wind power deal yet negotiated. 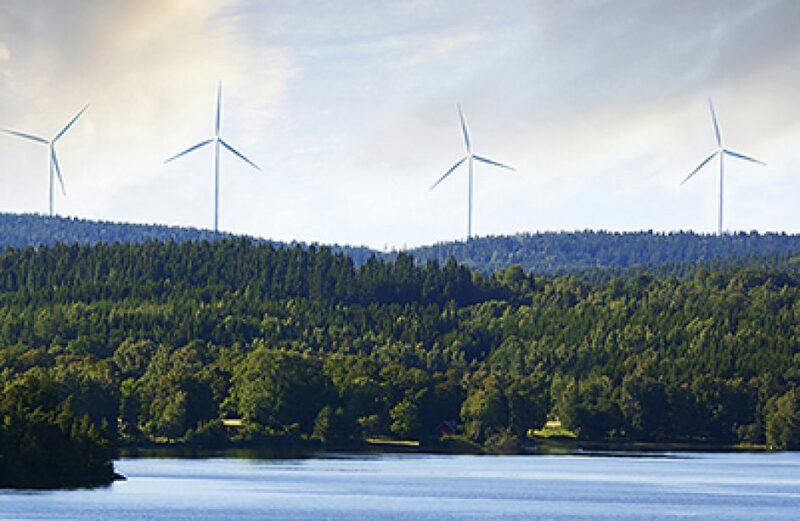 Norsk Hydro says the agreement will include the construction of a new wind farm near Sundsvall and Østersund. The contract’s annual baseload supply is slated to be 0.3 TWh for 2021 to 2031, and 0.55 TWh for 2031 to 2050, and the plant’s output will be dedicated to powering Hydro’s plants throughout Norway. Upon completion the wind park is expected to have a generation capacity of 235 mW, with an annual electrical production of 0.8 TWh. Executive Vice President for Energy in Hydro Arvid Moss greeted the agreement as a dovetail to the firm’s already-substantial hydropower operations. “With this contract, we have over the last 2.5 years secured wind power contracts of approximately 4.5 terawatt hours annually from 2021 and onwards, complementing our captive and contract-based hydropower supplies. Mark Dooley, Global Head of Green Energy for Macquarie Capital and the Green Investment Group, hailed the agreement as a step in the right direction for sustainable aluminium smelting. Norsk Hydro, which was founded in 1905, financed by the Swedish Wallenberg family and French banks, began its life named Norsk hydro-elektrisk Kvælstofaktieselskab (literally, “Norwegian hydro-electric nitrogen limited”) by Sam Eyde. The Norwegian government owns approximately 40% of the company at the present time. Norsk Hydro is one of the largest aluminium companies in the world, with plants in Rjukan, Raufoss, Vennesla, Karmøy, Høyanger, Årdal, Sunndalsøra, and Holmestrand. Norsk also has several plants abroad, including in Germany and Brazil.